The point marking the beginning of Naumachia would be somewhere in 1999. Naumachia was initiated by Armand. As it usually happens, the band was taking on and sending away different guys, mounting to 10 of them. And they were not really sure what they wanted to play at that point. They did not know anything about music creation and had problems with handling their instruments. Fortunately they didnt give up and started to work on their skills. The direction they wanted to go with their music was also becoming clearer. 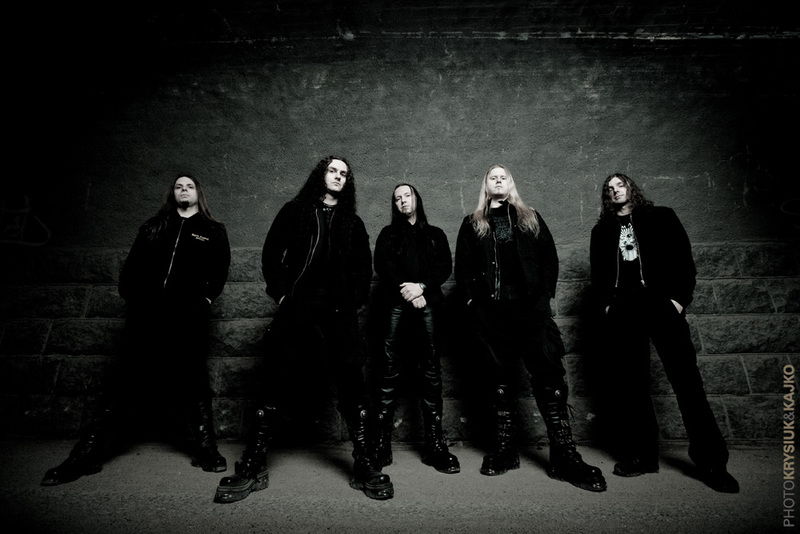 In September of 2000, Naumachia entered the Selani Studio (known for productions of Vader, Behemoth and Decapitated), where they recorded first demo. After that Naumachia appeared live getting their first gig experiences and gaining positive feedback from audiences. The year 2003 caught Naumachia back at a studio. This time in the professional environment of Hertz, where during eight October days album Wrathorn was recorded. Three months later Naumachia signed a contract with Empire Records, released and sold 5000 copies of Wrathorn. Photo Sharing and Video Hosting at PhotobucketLine up changes enabled Naumachia to promote Wrathorn right after its release. For several shows Naumachia hired a vocalist but then they decided that this position should be still kept by Soyak and Armand. It seems like the line up was established. Naumachia was ready for new challenges. In February of 2005 Wrathorn was re-released by a French label: Adipocere Records. Naumachia played several shows as a support for the greatest Polish artists such as Closterkeller and took part in the biggest heavy metal festival in Eastern Europe: Metalmania, where they had a chance to play before Cradle Of Filth and Apocaliptyca. Spring, summer and fall of 2005 was a time of hard work on new compositions. They will appear on the new Naumachia’s album which is being produced. Photo Sharing and Video Hosting at Photobucket The first official release of the album was available on 9th June 2008 in Europe and 2nd September 2008 in USA (via MVD). At the January and February 2009 Naumachia was again in the Hertz studio in Bialystok, under the watchful eye of brothers Wiesławscy register our latest work. From the production team followed the last major personnel changes. Koshen left Naumachia fill the vacancy and its known to all from the Atrophia Red Sun- VX Mind Ripper, the bass came from Mortifer known from Hate or Saltus. On percusion Icanraz (Devilish Impresions, Christ Agony, Abused Mayesty) In the new, fresh and blood needed band Naumachia registered 41 minutes extream and original BLACK DEATH METAL!! !